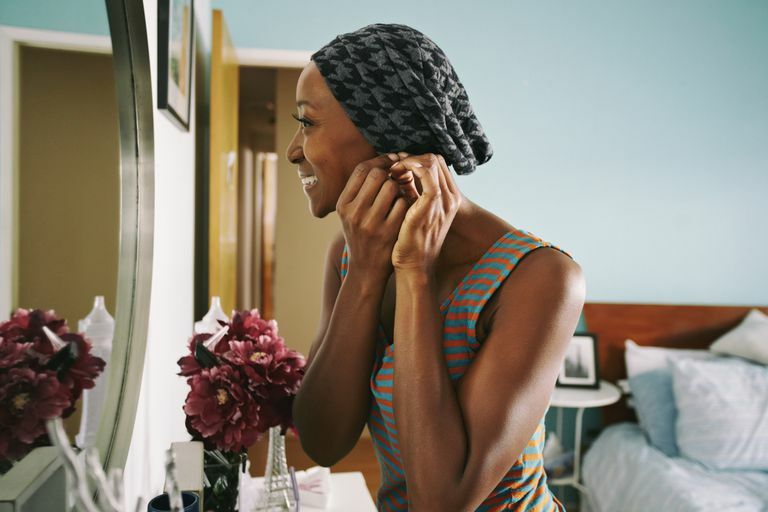 Breast cancer remission's definition is very different than a cure's. When your cancer is determined to be in remission, it means that there are no signs of the disease that your doctors can identify. While this is terrific news, it can be possible for some trace of cancer to still remain in the body that is just too small to be visible. For many patients, cancer will not return throughout their lifetimes, but there is no way to be completely certain that cancer won't come back. If your breast cancer is in partial remission, that means that cancer is still present; the tumor has just gotten smaller. While this is a big milestone, you will likely need regular follow-ups and checkups with your doctor to make sure the tumor hasn't grown again. Depending on your situation, you may be able to take a break from treatment as long as the tumor still has a smaller presence. Complete remission is different than complete remission in that all tests, screenings, and scans show no presence of cancer at all. While this means there is no evidence of disease, it does not mean that cancer will never return. That's why it's important to continue to have regular screenings going forward. Will I Need Treatment If I'm in Remission? Whether or not you undergo treatments while in remission is determined by the type of breast cancer you had and your unique situation. If you had estrogen-positive breast cancer, then your doctor may prescribe that you take a medication like tamoxifen, (Arimidex) anastrozole or Aromasin (exemestane) for three to five years. While these drugs have been proven to be effective in preventing cancer recurrence, they do have side effects. If your doctor has prescribed these medication or hormone therapy, you may experience hot flashes or depression. Talk to your doctor about these side effects as it is possible to prevent them with supplemental medications like Venlafaxine. If your breast cancer was estrogen-negative, your doctor will likely not prescribe any medications. Your doctor may also recommend that you get checked every three to six months for five years after your diagnosis. If you're considered to be high-risk, your doctor may also prescribe an MRI or mammogram as an extra precaution. Regardless of the cancer type you experienced, you are always at a higher risk of recurrence. If you had cancer in one breast, it is possible for the other breast to develop cancer as well. Self-exams every month and following your doctor's screening guidelines will help identify cancer early on if it does reappear. If you are in remission, it's good to be cautious, but you can return to your normal life. While you can go back to your regular routine, you should follow a healthy diet and exercise regimen to help keep your body strong and prevent diseases. Your doctor may recommend that you exercise three to five times a week and limit your alcohol intake.